Welcome, and thank you for taking the time to learn more about me. 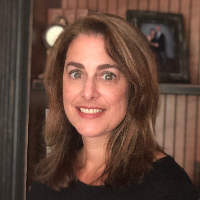 I am a Licensed Professional Counselor in the state of New Jersey with experience providing therapeutic services in a variety of settings including partial hospitalization, intensive outpatient, in-home, online and outpatient. I have worked with clients with a wide range of concerns including anxiety, depression, eating disorders, relationship problems, substance issues, low self-esteem, school related issues, crisis and other emotional difficulties. My approach is eclectic, using primarily cognitive-behavioral techniques to help individuals understand the thoughts and feelings that influence behavior. My focus is to aid clients in identifying triggers as well as developing coping skills to help alleviate symptoms. I work collaboratively with clients to meet their needs and offer support in a non-judgmental way. I know that reaching out for help takes a lot of courage, and I am here to go through this journey with you. I look forward to working with you! Marisa is the best mental health professional I have worked with! Not only is she knowledgeable and practically skilled, but her ability to go above and beyond to follow up and accommodate my schedule has made therapy an enjoyable and beneficial experience. She truly cares for those she aims to help. I would highly recommend her services to both new and experienced clients. Thanks for everything Marisa! Would you like to write a review for Marisa Campanella-Harris? We'd appreciate if you can spend a couple of minutes to write a short review for Marisa Campanella-Harris (LPC, NCC). This review would be shared with Marisa Campanella-Harris. It may also be posted in our website or in Marisa Campanella-Harris's profile but it would be anonymous and your identity would be kept completely confidential.